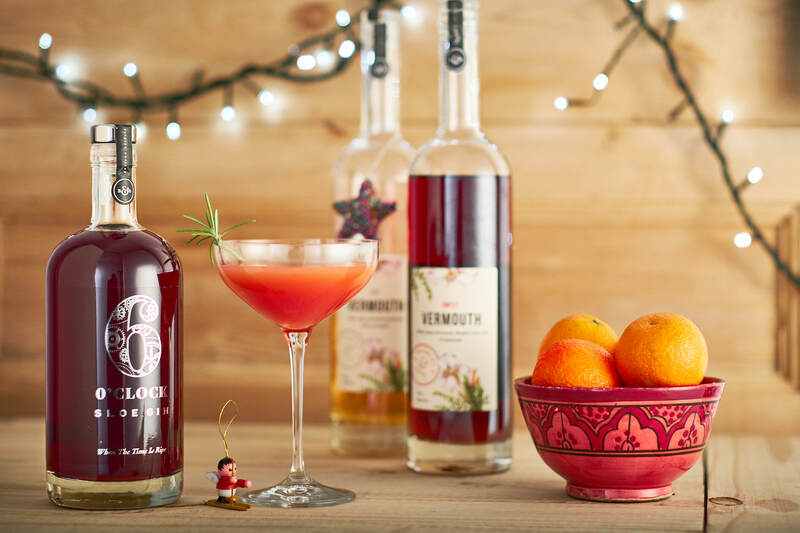 The festive season is upon us once again, which means it’s time to mix up some special Christmas cocktails for all you gin fans! First up we have a simple twist on a great gin classic – The Bronx. Grab a bottle of 6 O’clock Sloe Gin, pour a measure into your cocktail shaker and add equal parts of Sweet & Dry Vermouth, along with a measure of freshly squeezed clementine juice. Shake it up and get the party started! Add all the ingredients into a Boston shaker (2 piece), fill with ice and shake well. Double strain into a chilled coupette glass. Garnish with a sprig of fresh rosemary. Dates From: The original Bronx dates from the very early 20th Century and has a number of possible inventors. Key Flavours: The original is a gentle and well balanced drink with a subtle aromatic flavour from the Sweet and Dry Vermouth. This Christmas twist adds a warming complexity from the 6 O'clock Sloe Gin while maintaining the refreshing citrus notes from the clementine juice. Background: Our favourite story is about a bartender called Johnnie Solan who created the drink at the Manhattan Hotel. He apparently named the drink after a guest told him that he'd been at the Bronx Zoo a day or two before and had seen all manner of strange beasts; Johnnie was reminded of some of his customers by this description, and so named the drink 'The Bronx' in their honour. You can find loads more gin cocktails in our Classic Cocktail series here. Older →6 O’clock Gin in your Ginvent Calendar?